As we’ve pointed out just recently, Warby Parker realizes what a powerful tool storytelling can be. In the case of their identity and their brand, which has disrupted an industry worth billions, Warby Parker has used storytelling to communicate who they are, what they do, and who they help. Like nonprofits who value their donor relationships, Warby Parker knows how vital their customer relationships, and this recent email that I, a very happy customer, received from them, is a testament to that. I don’t see nonprofits spotlighting their donors nearly enough, despite the fact their work wouldn’t be possible without their donors’ loyal support. 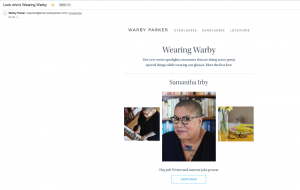 See how Warby Parker has used their Wearing Warby showcase as a space to highlight the people they appreciate most — their customers! Despite Warby Parker being within the realm of retail, this piece comes from a business with a true conscience and drive for social good. Warby Parker cares about their customers. You care about your donors. 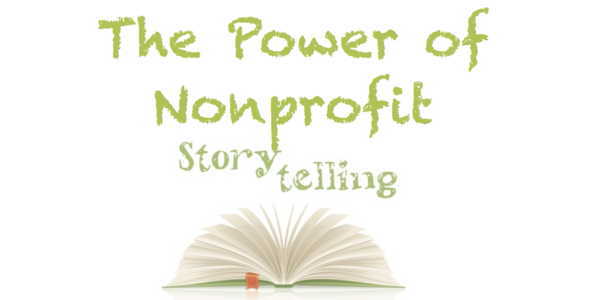 This is a prime example of how you can use storytelling to let people know that they matter, and how your nonprofit can convey to their donors that they matter. Look for examples in your everyday life because, chances are, they’re everywhere! 1050498662 from Pamela Grow on Vimeo. Previous post: What’s In My Mailbox | Donor gratitude is timeless and effective…and NECESSARY!